This article will cover all aspects of being charged with assault in Canada. What is an Assault Charge? Like many charges in the Canadian criminal code Assault covers a fairly wide range of activities. Assault in Canada can be anything from fist fight to a beggar asking for money too aggressively. It can be a very serious violation of another person or it can be a simple misunderstanding where someone calls the police and an arrest is made to err on this side of caution. In either case however the defendant is facing a serious infraction of the law and the arrest should be taken very seriously. 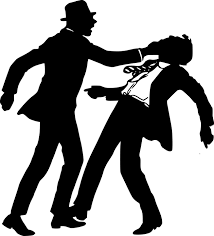 The most common type of we see here at the National Pardon Centre is simple physical altercation. A misunderstanding from a bar fight is a very common story we are told. Another is a domestic dispute. Whatever your story we assume that if you are reading this you have recently been charged with assault in Canada or you know someone who has been charged with assault. Perhaps you haven’t even attended court yet and you’re wondering what exactly will happen to you. Like almost any other charge it is going to depend largely on the details of the occurrence and the Crown Prosecutor’s ability to convince the judge you are guilty. Remember, it may not feel like it right now but you are innocent until PROVEN guilty, not the other way around. However if you are convicted of a simply assault you will be facing a possible jail term, although it would be very, very unusual to receive one. Assault causing bodily harm is just like assault but with the distinction of actual physical harm coming to another person. As mentioned above we have seen many assault convictions where no one was seriously, or even moderately, hurt. Yet still an arrest is made and a conviction is obtained. But for someone to be charged with the more serious offence of Assault causing bodily harm there has to be some form of physical trauma to the defendant. If you are convicted of this offence you could face jail time and obviously the more severe the harm to the defendant was the greater the chance there is of a resulting prison sentence. Combine assault and assault causing bodily harm with an object meant to threaten or injure another person and the assault charge will be increased to assault with a weapon. Many people will immediately think things like guns and knives when presented with this charge but the truth is that the weapon could be any object at all. Throw a plate across the room at your life partner and there is a very reasonable chance the result will be assault with a weapon. Carry a gun and threaten to shoot someone and you will definitely find yourself on the wrong side of the law. The result may very well be not only assault with a weapon but uttering threats, which is simply another form of assault. The next level of assault is aggravated assault and ithappanes in situation where the injury to the other person is quite serious. So if you wound, maim, disfigure or endanger the life of another person you will be subject to an indictable offence. Notice that for all previous types of assaults we have discussed the crown prosecutor has the option to charge you with either a summary or an indictable offence. However if you are charged with aggravated assault the option no longer exists. You will be facing an indictable offence. Everyone who commits an aggravated assault is guilty of an indictable offence and liable to imprisonment for a term not exceeding fourteen years. Sexual assault is about as straightforward as assault causing bodily harm but there is an enormous list of various sexual offences. However, covering all of them is beyond the scope of this article. For most sexual assaults it doesn’t necessarily matter if any physical harm came to the victim, what matters is that there was sexual activity without consent. Essentially there can be a simple sexual assault, similar to the simple assault charge but, of course, there must be a sexual component to the encounter. All of the previous charges of assault that did not involve a sexual component have an equivalent for these situations. We have seen situations as simple as someone being accidentally bumped into where the result is a sexual assault charge. However obviously the problem doesn’t stop there and there is a wide range of different offences that go right up to human trafficking. (an offence punishable on summary conviction and is liable to imprisonment for a term of not more than 18 months or, if the complainant is under the age of 16 years, to imprisonment for a term of not more than two years less a day and to a minimum punishment of imprisonment for a term of six months.